the south. The kings of the north prevented their people from making pilgrimages to the Temple in Jerusalem, and instead built idolatrous shrines at Bethel (in the south of their realm) and Dan (in the north). Amos went to the northern kingdom of Israel and prophesied that the rich and elite would be destroyed and exiled, because they were oppressing the common people, and offering false worship to idols. Amos was not a “professional.” He had no formal theological training—“nor have I belonged to a company of prophets.” The “company of prophets” were groups—often called “the sons of the prophets”—that probably copied, studied, and preserved sacred texts, and fostered prayer and the development of prophetic gifts. One may think of them as an early form of religious orders. But Amos was not associated with those groups. He was an unlikely candidate who got a call from God. He was compelled to go and preach, not motivated by money, but by the Spirit of God moving in him. Like the reading from Amos, this passage from St. Paul focuses on God’s choice of certain individuals. In fact, this passage is a key biblical text for the doctrine of predestination, the truth that believers were chosen in advance by God. Contrary to popular belief, “predestination” is not a specifically “Protestant” or “Calvinist” doctrine, although its true that it receives a great deal of emphasis in Calvinism. Calvin, however, got his ideas from St. Augustine. “Predestination” is a biblical and Catholic doctrine, found in Scripture and the Fathers. In the Catholic theological tradition, there are two distinct schools of thought on the issue of predestination: the Dominican and the Jesuit. The Dominican tradition has a stronger view of predestination, in which God is proactive, moving certain people to choose him. The Jesuit tradition has a weaker view, in which “predestination” is finally nothing more than God’s foreknowledge of our own free choice. For myself, I’m not optimistic that I will ever understand predestination, or the mysterious interaction between God’s will and my own free will, in this life. With St. Paul, however, I do recognize that, although I often felt like I was “choosing for God” at various points in my life, when I look back now, it seems apparent that God was moving everything in a direction he always intended. How this works, I don’t know, but it is a common Christian experience. If someone wants to insist that it can’t be so, that God can’t “choose us” and at the same time we freely “choose him,” I would reply that reality is more mysterious then we think it is. Even physicists have discovered this: there are apparent “contradictions” in the material world that are nevertheless true. As physicist-turned-theologian John Polkinghorne points out, light is both a wave and particle at the same time, yet how this can be so is very difficult to imagine. Jesus chose the Twelve back in Mark 3:18, and they have been following him around for a while. Now he gives them their first assignment “on their own.” He sends them out to preach, exorcize, and heal. Just as Amos was no professional theologian, we are reminded that the twelve apostles Jesus chose were not groomed for religious careers. The first four disciples—Peter, James, John, and Andrew—were fishermen. Matthew was a tax collector. 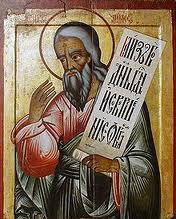 Simon was a “zealot”, i.e. part of a terrorist organization. The former careers of the other disciples aren’t well known, but it is a safe guess that like Peter and John, they were “uneducated, common men” (Acts 4:13). Of course we do not all have a formal commission to preach, exorcize, and heal as the apostles did, but every one of us who has been baptized and confirmed has, by the virtue of those sacraments, a commission to spread the Gospel in whatever place we are. There are a lot of people in the workplace and in our neighborhoods who need to hear the good news, who need to be freed from demons, and need healing both physical and spiritual. Don’t underestimate the good that prayer, fasting, and friendship can do. We may not be formally trained, but then neither was Amos. There is a lot of work to be done, and there is a lot of good that we can do, not because we’re so great and we chose God, but because he chose us and gave us his Holy Spirit through the sacraments. Thank you, as always, for this delightful food! I agree with you completely. I also feel that I will not understand "predestination" in this life. And have also come to realize that God is there before us and is guiding us where He wants us to be. Amen! He gave us His Holy Spirit through the Sacraments!